"It just grew up from that grassroots movement into something really big"
The Canadian video game scene is now as big as it’s ever been. You might not know it, but 23 million people in Canada are gamers, according to recent research from the Entertainment Software Association of Canada. Further, Canada is the third-largest source of game development in the world, behind the U.S. and Japan, thanks to nearly 600 active studios in the country. And yet, that’s not reflected in the number of actual gaming events; in Canada, there isn’t a dedicated Electronics Entertainment Expo or PAX-style gaming event to be found. One company has been getting there over time, though. For the past few years, the Enthusiast Gaming Live — with its esports, free play gaming setups, vendors and games showcases — has attracted thousands of Canadians through various Ontario-held events. 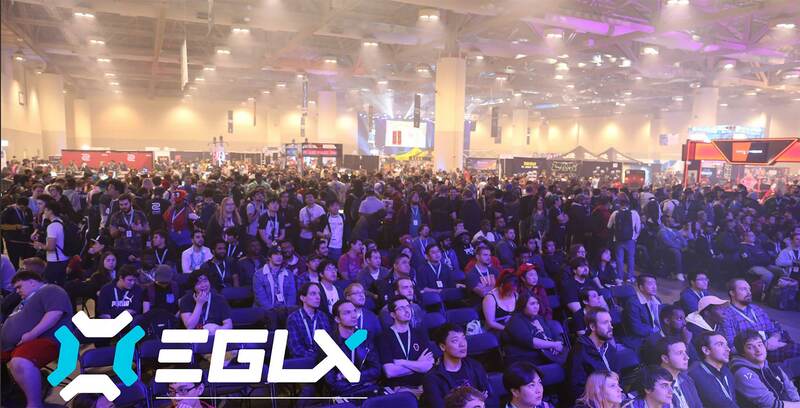 The most recent EGLX show, which took place in Toronto in October, brought in record attendance of over 30,000 people, suggesting that there is indeed a demand for gaming events in Canada. However, EGLX had far more humble beginnings, according to Menashe Kestenbaum, founder and CEO of Enthusiast Gaming. Despite a small number of attendees, it was the community-driven aspect of that gathering that appealed to Kestenbaum and his fellow organizers. They soon found themselves wanting to do more. The following year, in 2015, Kestenbaum and his team with several esports organizers in Toronto that they knew and held an event with about 700 people. This drew the attention of The Toronto Star, which at the time was looking to diversify its offering through a younger audience. With the backing of one of Canada’s largest news outlets, EGLX’s April/May 2016 event ended up bringing in over 12,000 people. And big it was. October’s show saw some high-profile programming added for the first time, including popular internet personalities like Kinda Funny, Toronto Maple Leafs player Mitch Marner, the unveiling of the Toronto Overwatch League team and multiple esports tournaments offering tens of thousands of dollars in prize pools. “There was always something going on which was exciting to me since I enjoy gaming content and we saw a lot of crowds there enjoying that too,” says Kestenbaum. It’s all been a big success, particularly since it’s a one-of-a-kind event in Canada. It begs the question, then, of why other companies haven’t tried to hold their own events in Canada. According to Kestenbaum, the high difficulty in getting such shows up and running is likely detracting companies from trying to get involved in them. “It’s hard to make these kinds of events because you need a lot of time to grow. It costs a lot to put together an even — you have to be ready to put in the risk and the investment that you might lose for a few years until you start earning it,” says Kestenbaum. He also said companies may not fully understand exactly what fans want out of a gaming-centric event. “It takes time to get that recognition. Sometimes that’s what brings the gamers in, these large publishers and their fanbases. Several years ago, we didn’t have Nintendo on board or Microsoft at all and after this event, we’re getting a lot more of the large publishers reaching out to get involved,” says Kestenbaum. One example of understanding the fans is through EGLX’s first partnership with the Canadian Gaming Expo (CGX) to bring a suite of AAA and indie developers from across Canada and the U.S. to talk about their experiences, not unlike the U.S.-based Game Developers Conference. In addition to helping inspire the next generation of developers, Kestenbaum says CGX also helps grow EGLX to reach larger audiences. “We got a lot of reception and feedback [on CGX]. A lot of organizations we’ve been talking to want to help in guiding that and growing that since they also feel that outside of GDC, developer conferences are sort of dying or there aren’t enough of them. That’s an area we want to explore,” Kestenbaum says. Going forward, Kestenbaum says that Enthusiast is looking into more events in other cities, including those in Canada.